We offer a menu of specialty coffee drinks, baked goods, and of course, chocolate bars. Experience our “to-die-for” rich, velvety sipping chocolate and take a peak at our production facility. Coffee is roasted locally, provided by Flight Coffee Company in Bedford, NH. 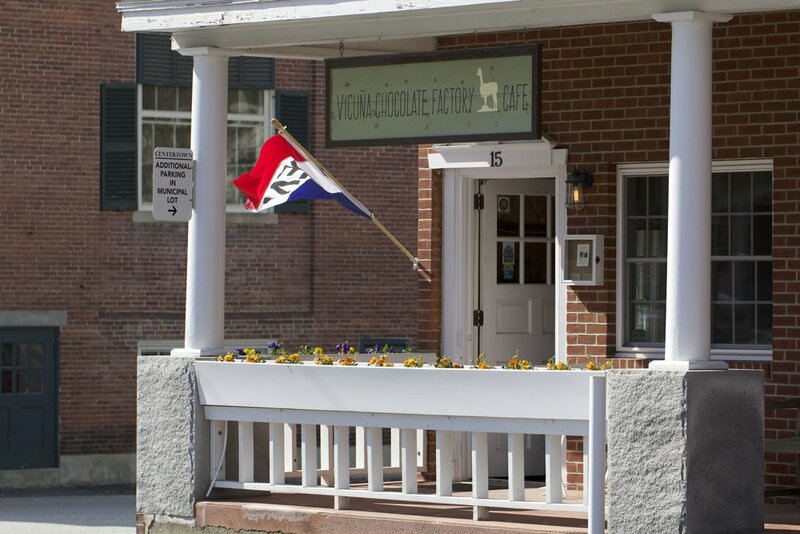 We’d be glad to serve you and help you find your new favorite chocolate bar. 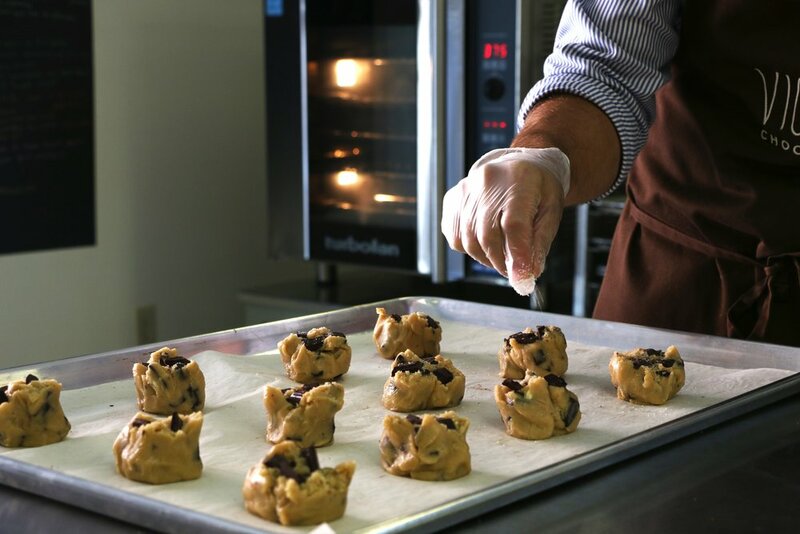 All our baked goods are made fresh daily and have been recognized by NH Magazine as the Best in New Hampshire. Come and try our fudge brownies, scones, and gluten-free options. Yes! We have wi-fi available to customers looking for a great place to work and browse. We’d love to have you come by. We have tours available 7 times per day, every hour, each day that we are open. Please click below to book online.